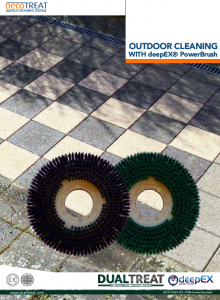 UNIQUE OUTDOOR CLEANING WITH DEEPEX® POWERBRUSH + PROTECTIVE SEALER! 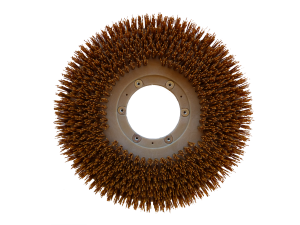 These are surfaces with a filtration capacity. In other words, rainwater flows through the surface into the subsoil. 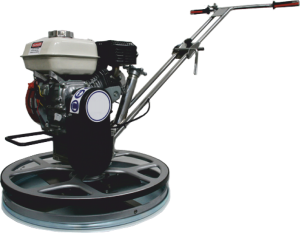 In this way the environment is protected and the surface has an efficient drainage. However, this usually has a disadvantage. 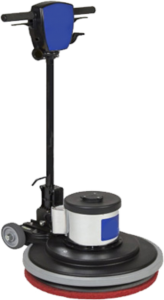 Microorganisms can grow on porous surfaces. 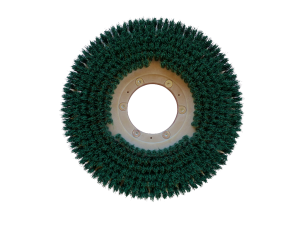 Water accumulates in the pores and building material contains minerals that offer good conditions for the growth of mosses, algae, lichens, etc. 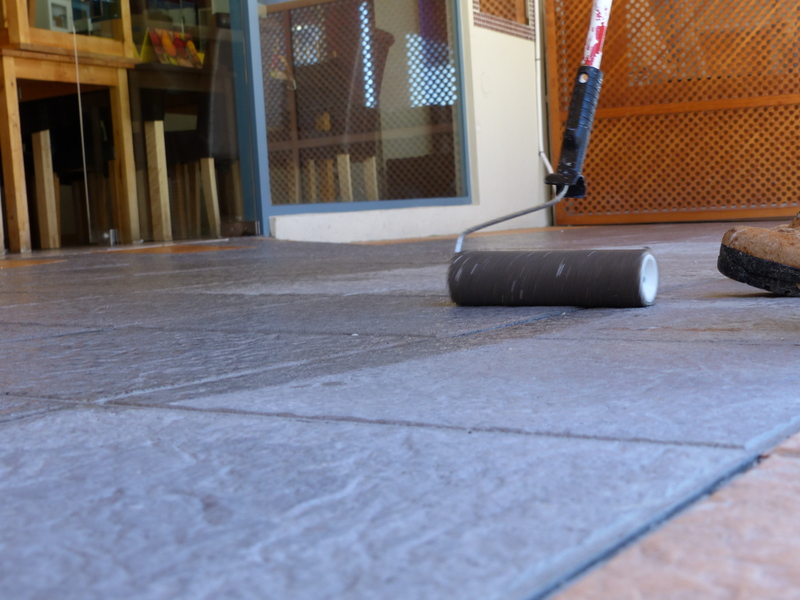 DEEPEX® + DUALTREAT® PAVING IMPREGNATOR - A WINNING TEAM! 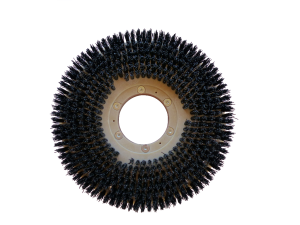 Due to its powerful industrial diamond bristles, deepEX® PowerBrush eliminates green growth in depth. Additionally, it is available in various grits, depending on the porosity of the surface. 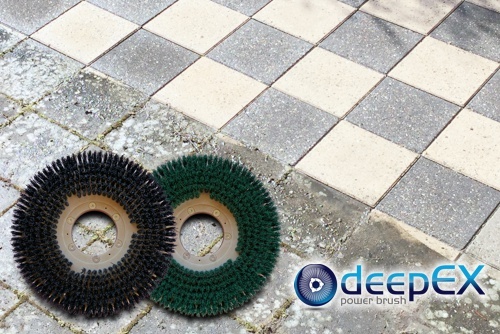 deepEX® PowerBrush is fully compatible with trowel machines and floor buffers. 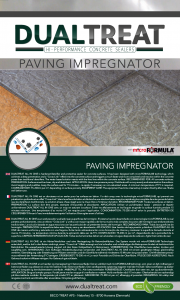 DUALTREAT®PAVING IMPREGNATOR is an impregnation for clean outdoor surfaces. 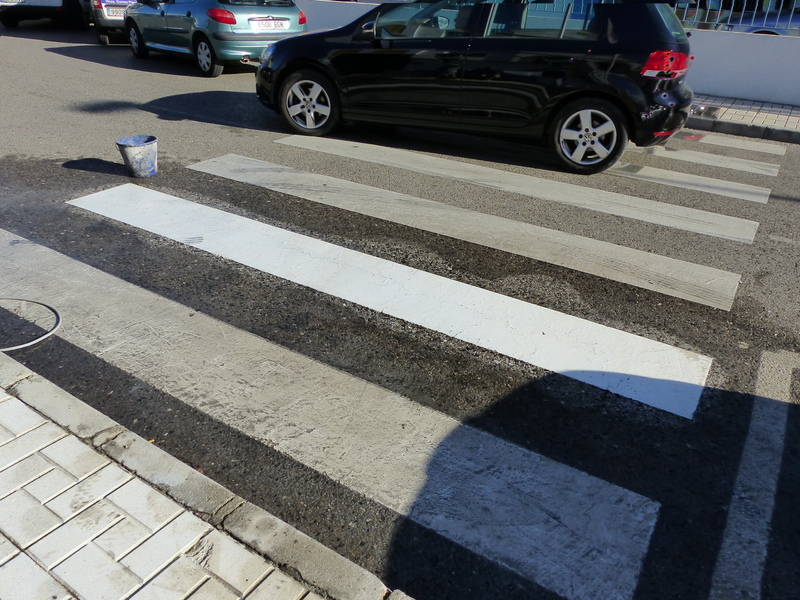 It protects in a sustainable way from rain, frost, snow, green growth, etc. 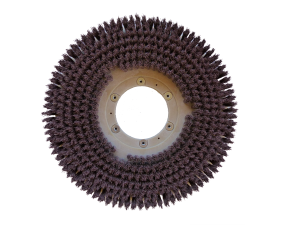 Water absorption is reduced by more than 95% on a treated surface. 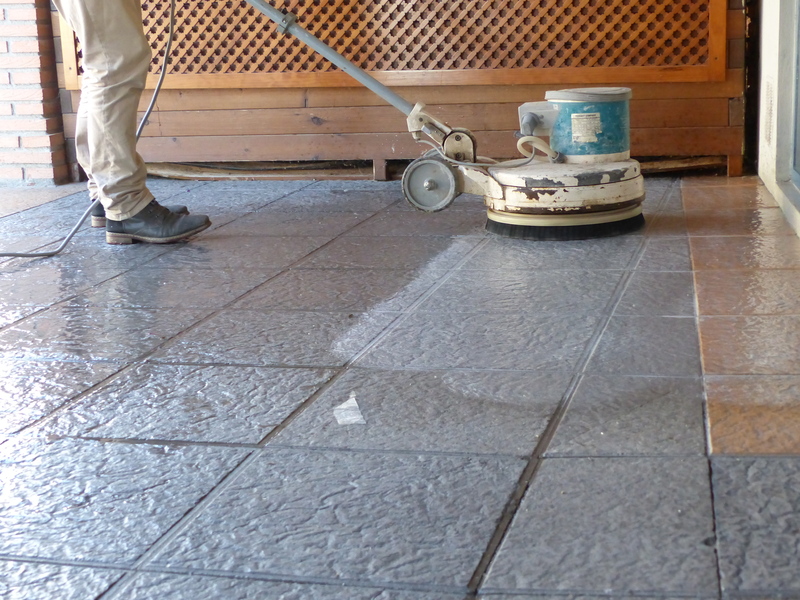 Moisture will no longer be able to penetrate into paving stones, minimizing green growth. 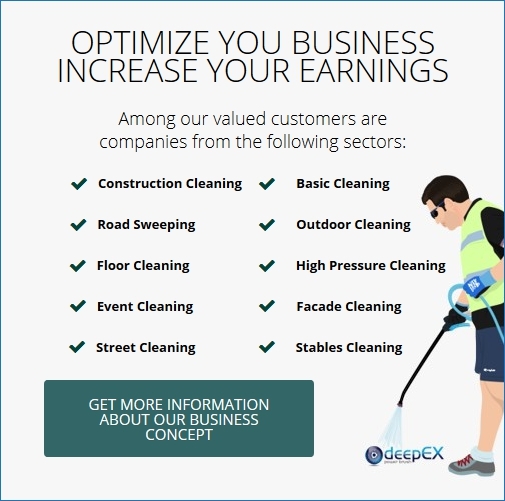 Outdoor cleaning guide for our partners.